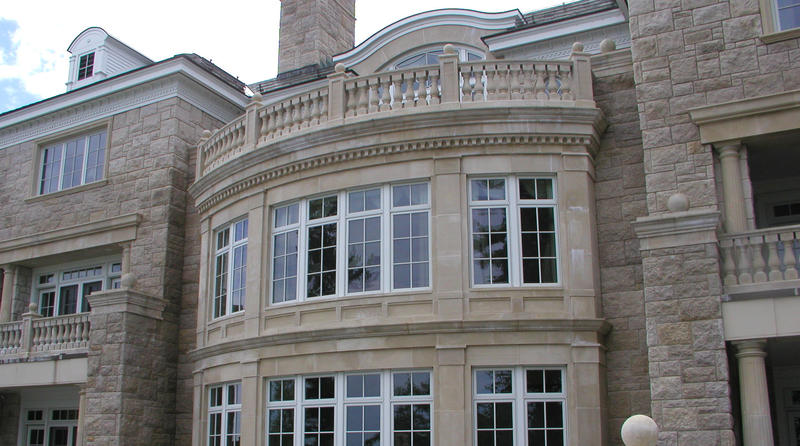 This classic estate house features Old World touches such as arches and window detail, with fountains built of pre-cast material resembling natural stone. 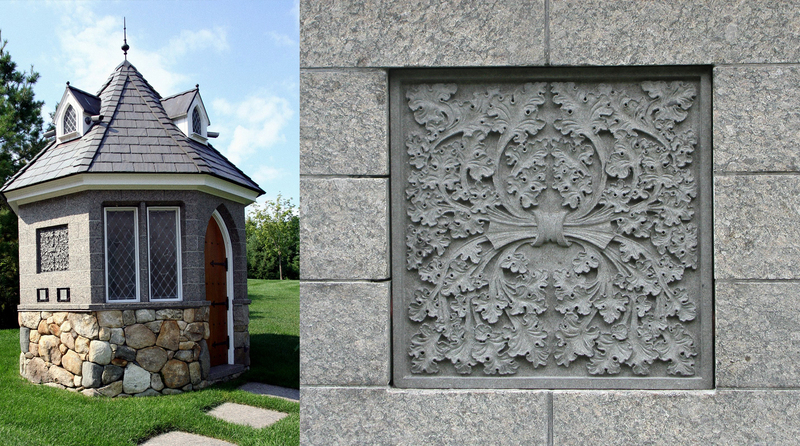 A stylish addition to the native fieldstone skirting of this gatehouse, architectural granite is precisely tailored to the arched doorway and features hand-carved maple leaf insets. 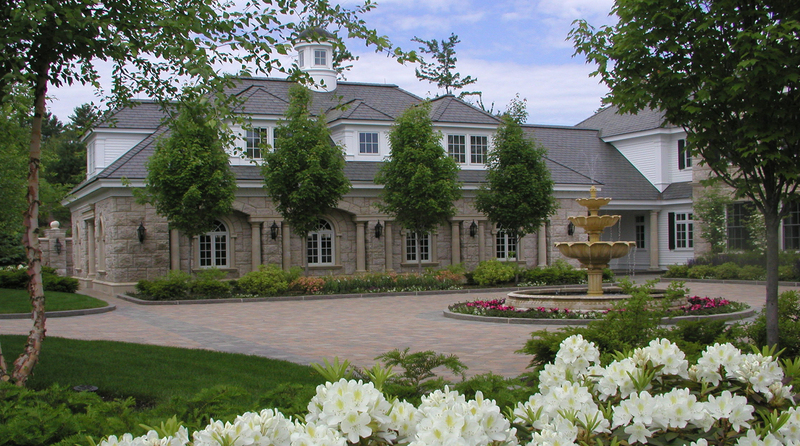 This stately home uses architectural stone as a lighter, more easily installed complement to natural stone, while retaining a distinctive appearance. 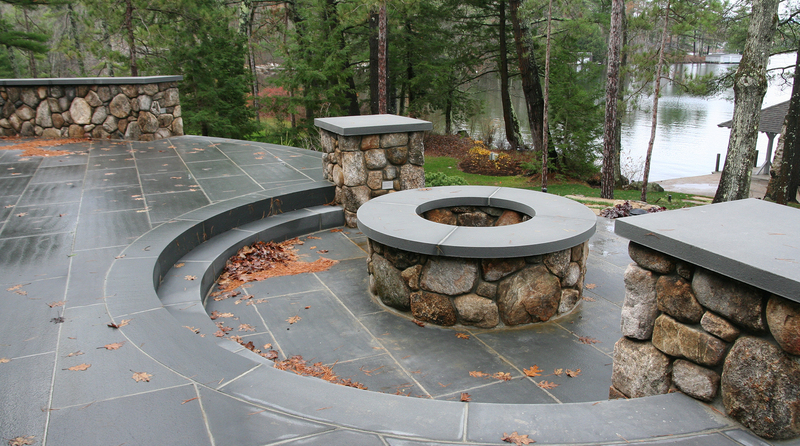 Architectural bluestone provides a clean, finished look to the fieldstone firepit and walls of this striking patio, yet remains in harmony with its natural surroundings. 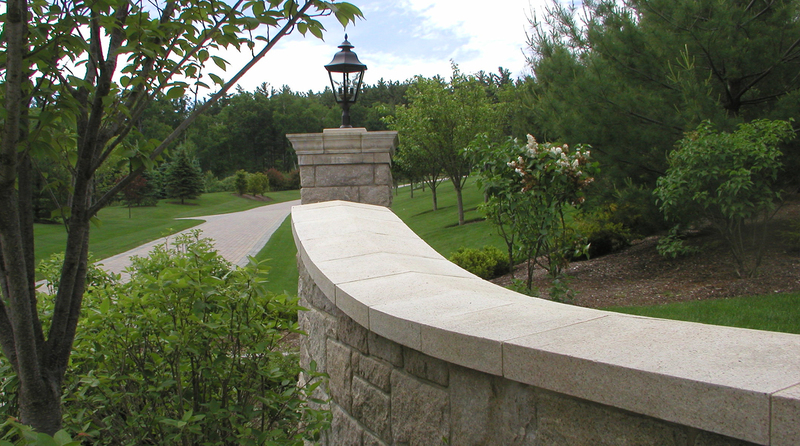 This gently curving, double-faced wall blends naturally with gray and red brick pavers, while helping to guide local foot traffic. 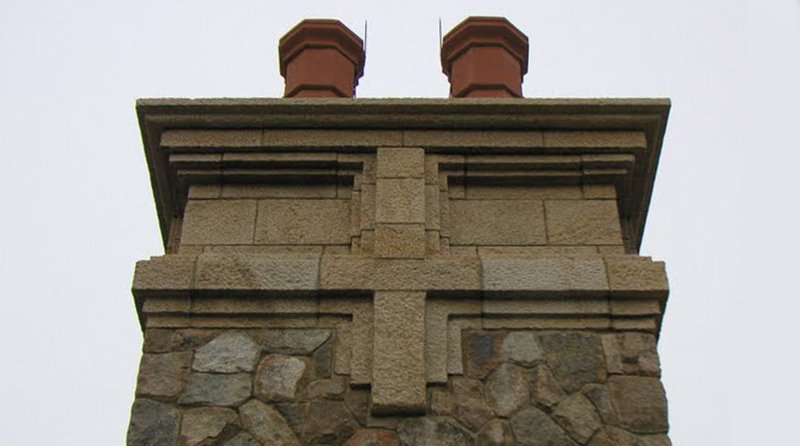 Pieces of internationally sourced Old Gold granite were hand-carved and fitted atop this chimney, achieving the designer’s goals within budget. 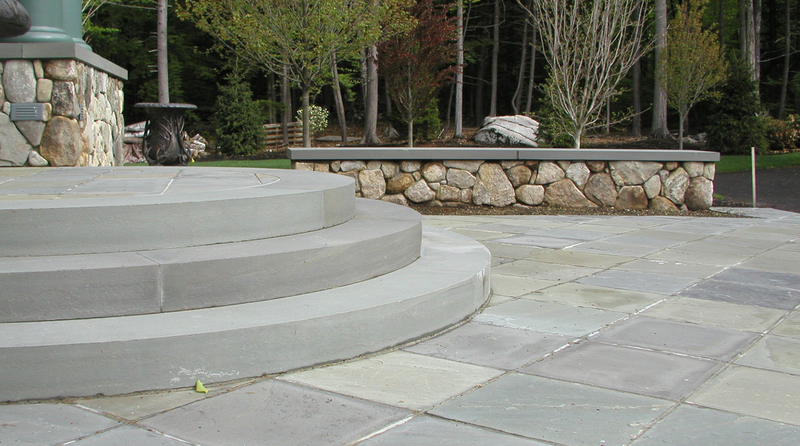 Sleek, concentric contours of architectural bluestone help balance the sharp angles of natural fieldstone in this graceful patio. © 2018 Hillsgrove Architectural Stonework. All Rights Reserved.